3D Printing with a Pneumatic Syringe #3DThursday #3DPrinting « Adafruit Industries – Makers, hackers, artists, designers and engineers! 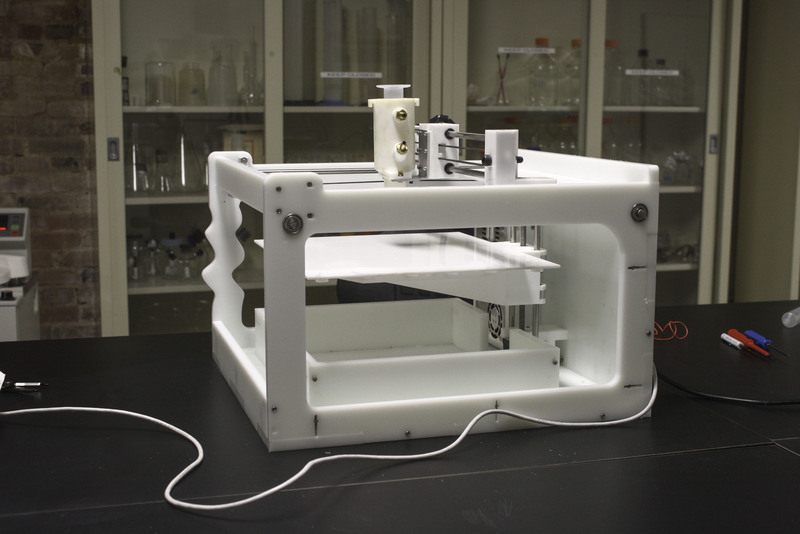 The Materials Research Workstation is a 3D printer designed by Harrison Tyler, Evan Roche & Lucas Haroldsen. This 3D printer is a platform that focuses on flexibility of use for materials research using fdm printing processes. The printer is designed to accommodate pneumatic syringe based printing, but also accommodates printing in plastic with a hot end, among many other material possibilities. The printer is currently in Beta stage. 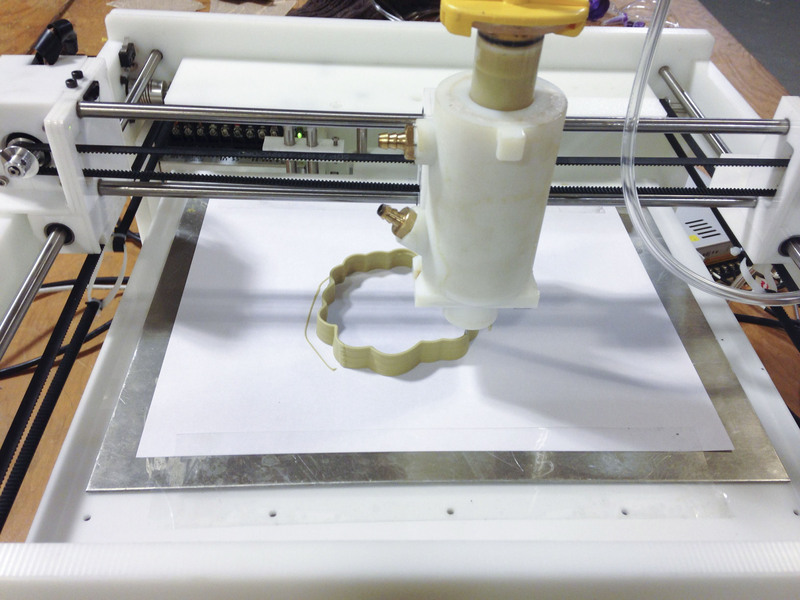 The first build workshop for the mrws3dp was hosted in Baltimore from June 3 – 5, 2014. A second workshop will be scheduled for July 2014. Details for this event will be announced on this website.